The Hillsboro Hops are a minor league affiliate of the Arizona Diamondbacks. Through their affiliation agreement, the Diamondbacks provide players and coaches to the team. The team maintains membership in the Northwest League and Minor League Baseball and provides a stadium for the Diamondbacks prospects to play their games. Hillsboro Hops Professional Baseball is an independent local business. The Hillsboro Hops are owned by Short Season LLC, a limited liability company. There are about 30 investors in the ownership group. Mike McMurray is the president of the team. His wife Laura is a vice president and the chief financial officer. They live in Hillsboro, Oregon. The McMurrays are involved in the day to day operations of the team. Mike McMurray, Myron Levin, Josh Weinman, Randy Boyd and Laura McMurray are directors of Short Season LLC. Hillsboro and Missoula are Short Season teams that feature predominantly first year players. The next step is a "Long A" team. Kane County in the Midwest League is the next step. From there players advance to Visalia in the California League. Both are A teams that play long seasons. They begin play in April and play through August. The next step is Double A in Mobile. The top level in the minor leagues is Triple-A. For Diamondbacks prospects, that takes them to Reno. 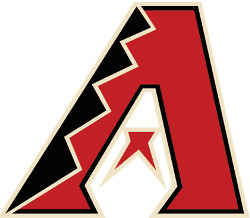 Click Here to see a list of all the Diamondbacks' affiliates. The Arizona Diamondbacks control all player personnel issues. They scout, draft and sign the players assigned to Hillsboro. Most of the players come out of the June draft each year. The majority of them played college baseball prior to being drafted in June. Hillsboro is their first stop in the Diamondbacks system. Some players advance after playing at Missoula in the Pioneer League the previous season. The team also includes free agent international players. These players often come from the Dominican Republic, Venezuela, Mexico and Australia. The goal of our players is to one day play in the major leagues. Moving through the Diamondbacks farm system is similar to climbing the corporate ladder or advancing through grades in school. Once players improve their skills and demonstrate mastery at one level, they are promoted to the next level. To provide memorable first-class experiences so that we can enrich the lives of our fans, staff, players and community. The Hillsboro Hops do not hold open tryouts prior to the season.